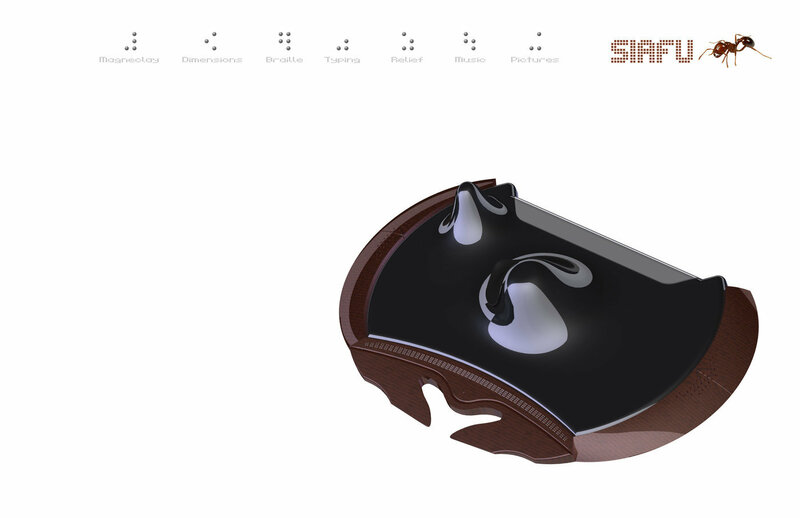 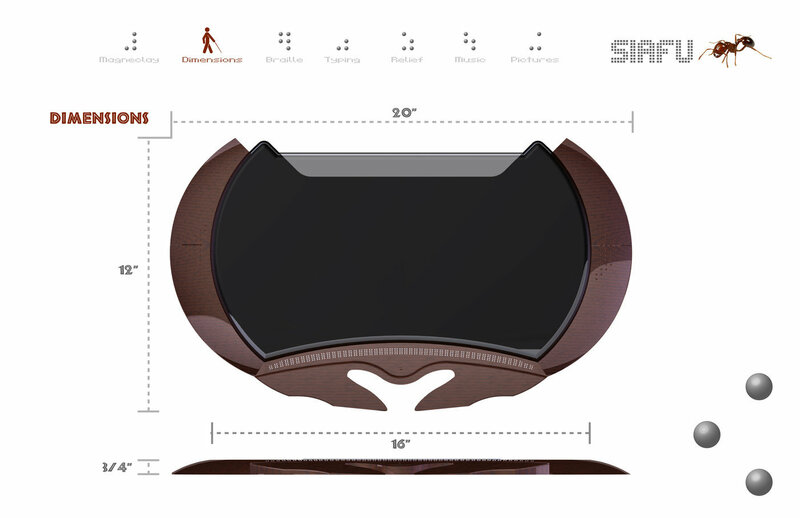 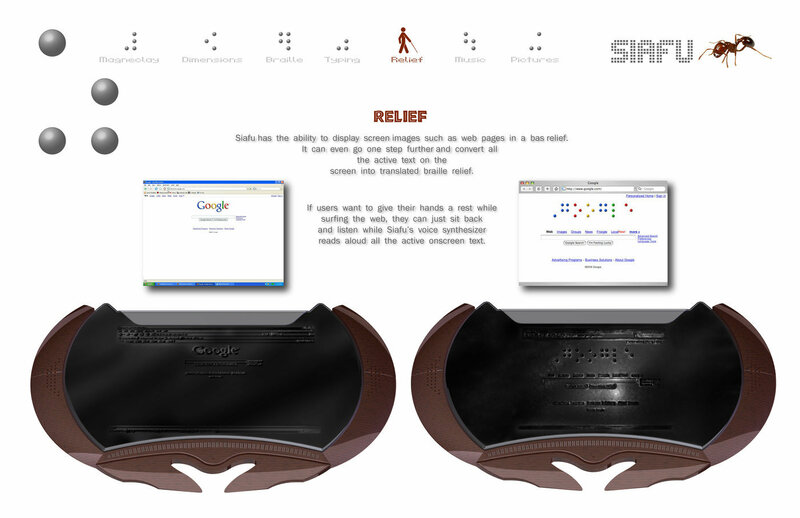 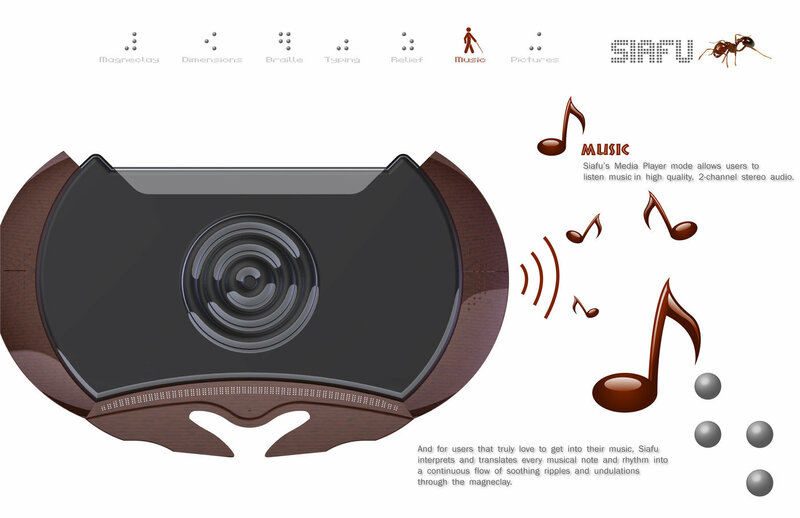 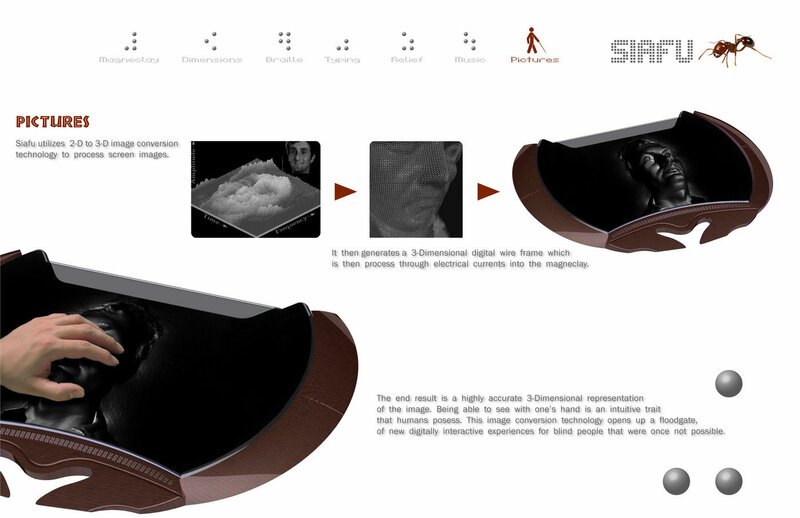 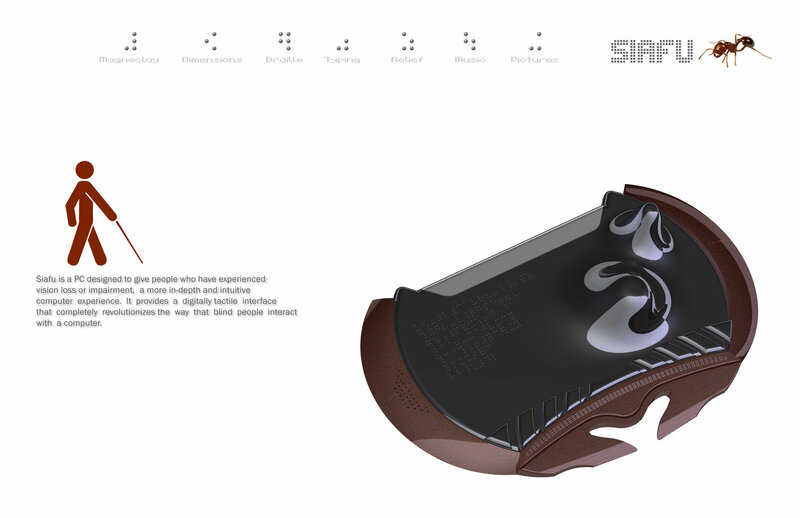 Siafu is a PC designed to give people who have experienced vision loss or impairment, a more in-depth and intuitive computer experience. 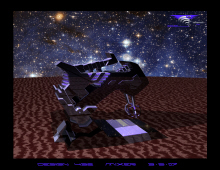 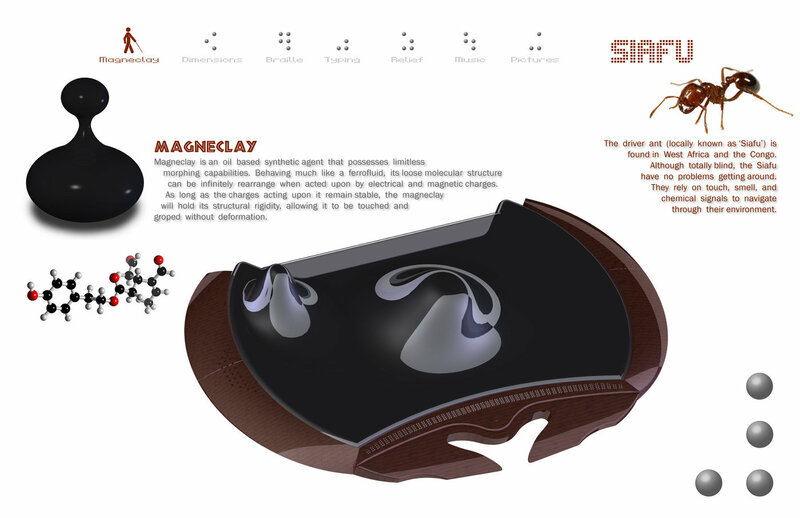 It provides a digitally tactile interface utilizing a conceptual material called Magneclay that has the ability to morph upward into any shape. 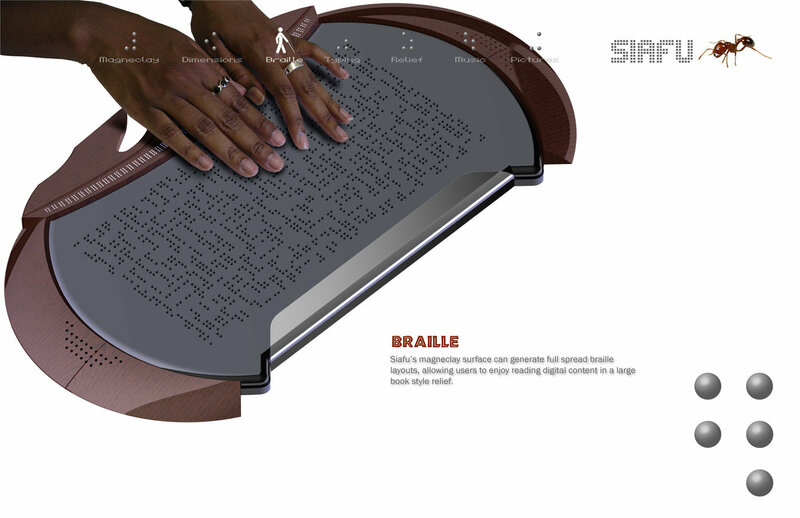 This material, allows Siafu to generate infinitely refreshable braille as well as display images as a 3D relief, allowing blind computer users to experience digital images, and graphic layouts for the first time. 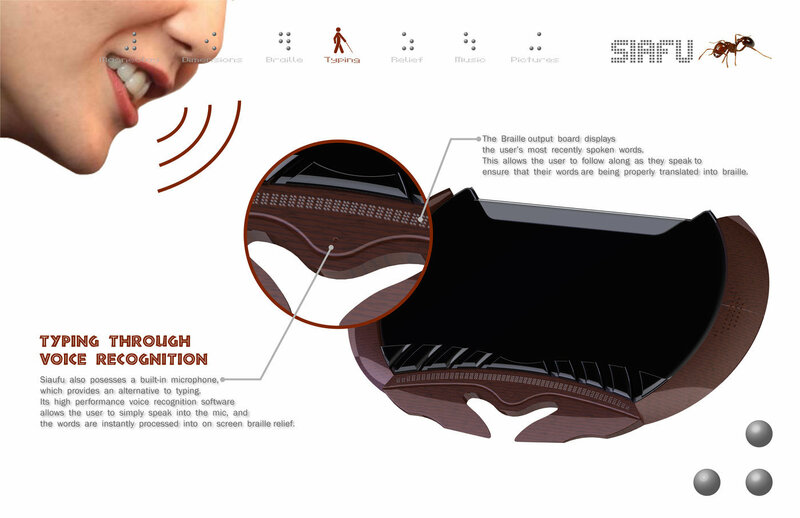 A very worthy concept of the future. 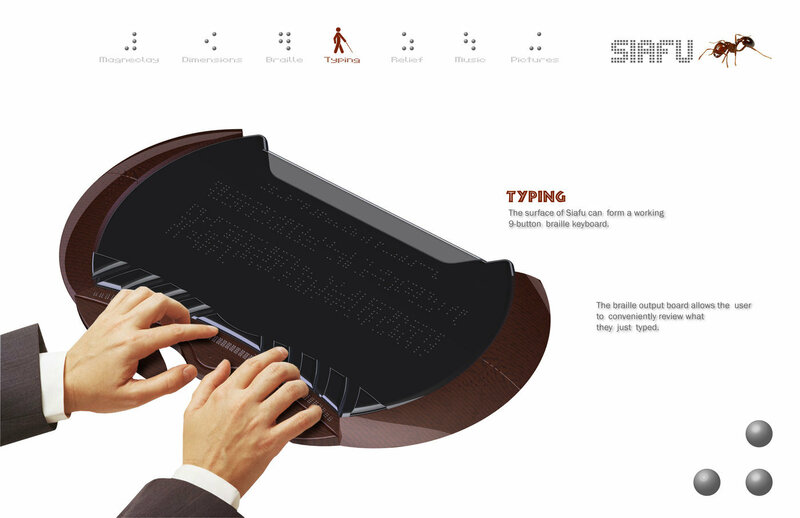 If this can ever perform how you envisage then the world will be a much brighter place for the sight impaired.